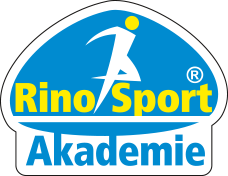 The main purpose of Rinosport Academy is to contribute to the development of the physical literacy of our society in cooperation with the sport specialists, schools, universities and other federations and sport organisations. It supports the idea of making the sport activities available for everyone and especially for children of different age categories. We can understand the physical literacy as simply something one can do in the area of different physical activities and sports. What one has learnt during his lifetime, they can use it in their everyday lives so that they stay in shape and physical form. The physical literacy should be part of everyone’s life. We are filling the gaps in the knowledge of the population as far as the physical literacy is concerned and we accept various suggestions on the basis of the examined situation. We want to define the physical literacy in different phases of our lives. Surely, we can say that there is a certain minimum what one should know and what one should be able to perform in the area of physical activity. On one hand, there is a respect for the natural motor development and for its different phases but on the other hand, people do not really know much about the physical literacy. Rinosport Academy creates various programs for the development of the physical literacy according to different age categories, it suggests the plans for the PE lessons, it manufactures safe and originally designed equipment to support the natural development of the physical abilities. The Academy cooperates with teachers, coaches and trainers to provide our clients with specific programs to support their physical activities, all of that in accordance with the physical literacy plan. There are educational accredited seminars, methodology created for specific programs and conferences with the thematics of physical literacy in practice. By educating people in the school and also in the non-school environment, we should get the exact definition for the physical literacy which will be widely acknowledged as the accepted conception of PE in Czechia.